Bottom Line: I highly recommend checking them out, especially if you're on a tight beauty budget. 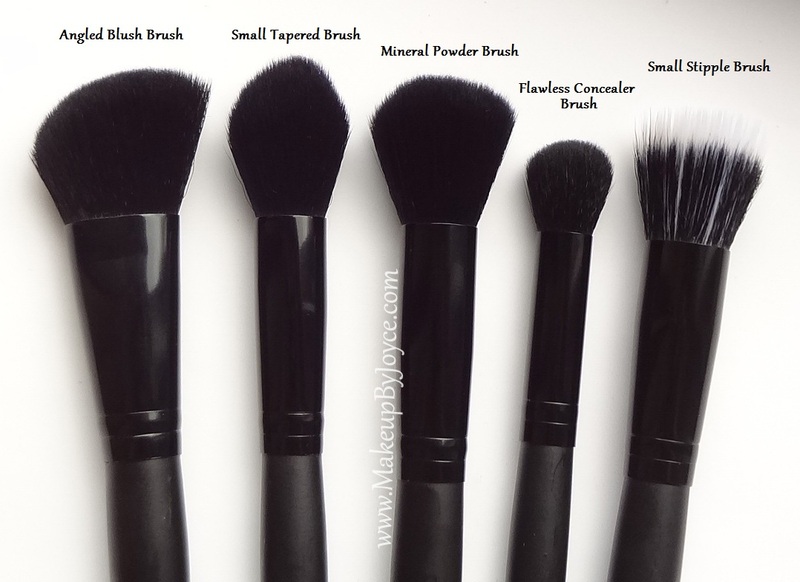 These brushes feel baby soft, don't shed and work well with both liquid and powder products. 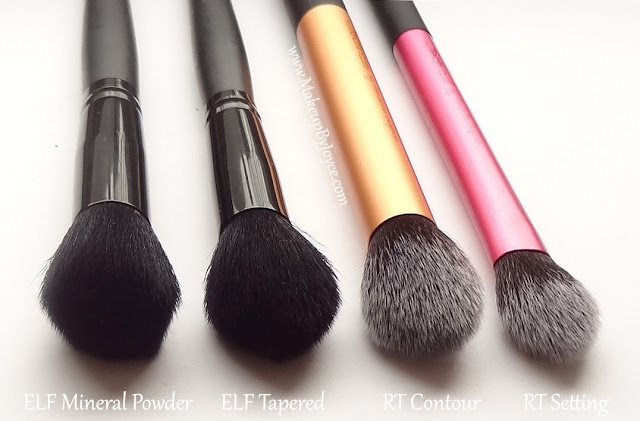 Note: The ELF Studio brushes can be purchased individually for $3 each at their online store, drugstore.com, and Target. 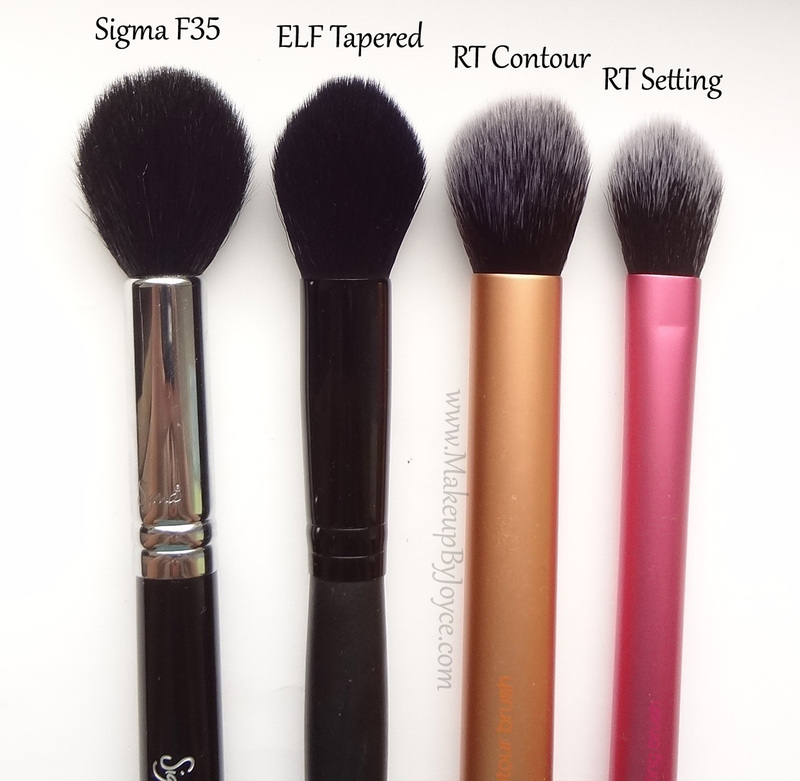 Which ELF Studio brush have you tried? Joyce love the beauty tips. I see you have a lot of talent, so I decided to follow :). I hope you can travel on over to my site: http://theproverbs.net and follow. Hope to hear from you very soon. Thanks for your time...God Bless! Thank you for stopping by! I've only had these 5 brushes for about 2 months, but so far, everything's been good. I also have the ELF flat top brush and the ferrule came off eventually, but like you, I don't mind because it was easy to fix with super glue. Also, I really can't complain because it was only $3. =) It was still functional and I didn't experience any shedding at all. Hope you can drop by my blog and join my giveaway! I'm giving away $80 gift voucher from MsDressy and Miss Litratista! I wish to have all this kind of brush and learn how to use each of it! Hi, I was wondering what is the difference between, swirling and buffing? I want to make sure I'm using my duofibre correctly. I didn't realize that swirling caused them to shed. 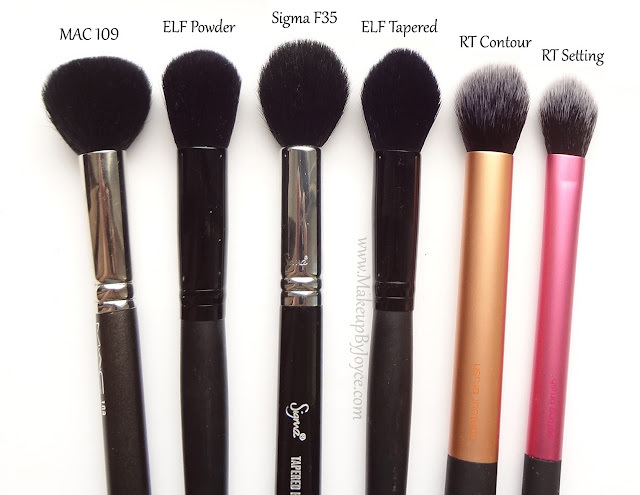 Generally, if the brush is made of synthetic fibers, then it shouldn't shed when used to apply liquid foundation. The entire head of the elf stippling brush is made of synthetic fibers, so it shouldn't shed regardless of how you use it (buffing/stippling). Traditionally, the white part of stippling brushes is made of synthetic material, while the black hairs on the bottom are made of natural fibers. It's called a duo fiber brush because its made of both synthetic and natural hairs. Also, it's called a stippling brush because it's meant to be used in a stippling motion. Stippling just means tapping. When you use a duo fiber brush in a tapping/stippling motion, then the liquid foundation won't touch the black hairs. Therefore, it won't shed. Natural hairs tend to shed when you use them to apply liquid products. So, if you used the duo fiber brush in a buffing/circular motion, then the black natural hairs will come in contact ith the liquid foundation and therefore will shed. Thank you for this comparison! I wasn't too sure which two e.l.f face brushes to go for because of size as I already have two bigger ones and I needed a tapered one for blush and a smaller one for contouring. Going with the small tapered and the flawless concealer one. Awesome! You really can't go wrong with these brushes. Can't believe they're only 3 bucks retail. Thank you for the awesome brush review! I was wanting to get the f35 but I think I will pass on it now since I already have the ELF tapered. Thanks for the review and pictures! I love the comparison brush pictures which clearly show their relative sizes. Mac 130 is softer than elf small stipple brush? Mac 130 brush softer than elf small stipple brush? Both brushes are soft, but the ELF stippling brush is slightly softer because all the bristles are made of synthetic material. The black hairs on the MAC 130 brush is made of natural bristles. I know this review is over two years old, but I found it through a Google search for elf brush comparisons, and it is SUPER helpful! I'm new to your blog, but this was so thorough, I'm definitely a follower now! Aww, that's so sweet! By the way, the ferrule on my old ELF Studio flat top powder brush came off and I had to super glue it back on. The ones in this post have held up pretty well. I still haven't experienced any shedding and the glue on the ferrules haven't loosened.